If you need a second phone number for any reason, knowing where to start is tough. After all, actual phone providers and companies aren't willing to give two numbers outside of rare occasions. Because of this, those seeking a second number have to be more creative in their approach. Thankfully, there are many great options that allow anyone to get a second phone number. This information will be particularly helpful for those living outside of the US and Canada, and here's why: Many online services, like PayPal, Google, YouTube, Facebook, WhatsApp, and others, require an American or Canadian phone number for verification purposes. These sites are helpful, and sometimes essential, for people all around the world, but phone number requirements stop some from using their services. 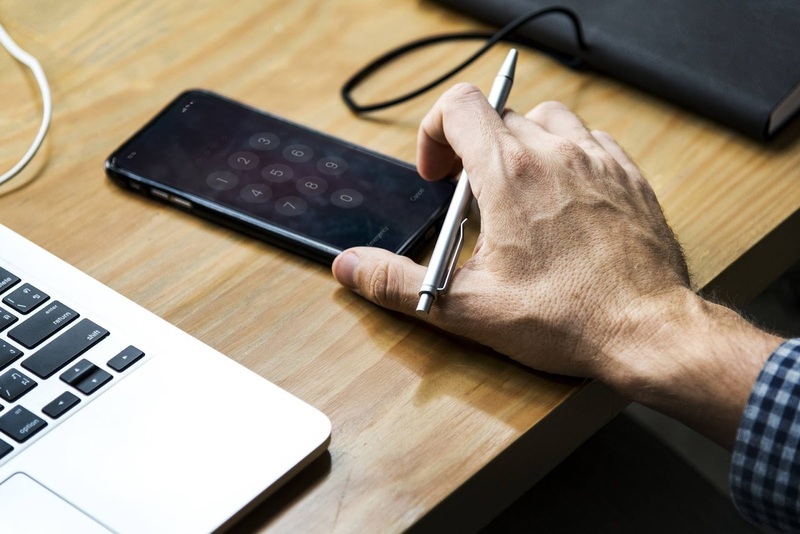 But rest assured, obtaining a free USA number for verification is easier than you think, and this article will guide you towards several options that may be right for you. Of course, even those within the United States and Canada potentially benefit from a second number. It's easy to get personal and business lives tangled together, and a second number can free anyone from that stress. Regardless of what reason you may need a second phone number, the following are all options available to you. Some of these services are paid, while others are free, so your personal situation will dictate which option is best for you to obtain a free USA number for verification. Burner is a paid option for acquiring another phone number, but it is reliable. Burner is one of the more used second-number services and conveniently offers a 14 day trial. For 14 days, users can try out a second number with limited access to messages and calls. From here, deciding whether or not the monthly "premium" service is worth the cash would be much easier. Worst comes to worst, you can back out and try another option. On the other hand, if you enjoy Burner's service, you can pay a relatively small monthly fee and enjoy quality, trusted second-number service. Free Tone is an entirely free service and provides users with plenty of options. Fee Tone allows for both calling and messaging to the United States and Canada, with the only caveat being that communication is limited to these two countries. But, if you're simply looking for a phone number to verify accounts with, then Free Tone should cover all of your bases. On the other hand, some may prefer a service that provides a more complete phone number, so the final decision is in your hands. If you don't see yourself using your secondary number for reasons other than verification, Free Tone might be your best bet. Like Burner, Hushed offers both free and premium service for its users. For absolutely no cost, you can access a Hushed-provided second phone number for 3 days. If you enjoy Hushed's features, like custom voicemail and call forwarding, then you may decide to jump into Hushed's paid 7-day and permanent plans. Hushed is pretty similar to Burner, but if the app's custom features appeal to you, then it may be a better option for your situation. Cover Me is another paid service, but this application offers a specific benefit: A storage space for pictures and other files. In regards to calling and messaging, Cover Me provides everything required, but the additional private storage is just another benefit. However, unless the private storage is a feature you'll find handy, you may prefer to look in another direction. Numbers Plus (sorry Android users it's just for Apple's iOS users) is pretty by-the-books for the most part, but it differs from its competition in a significant way: The ability to give users more than one additional number. If for any reason you're needing more than 2 numbers, then Numbers Plus is perfect. There is a free trial, and if you're convinced of the service's worthiness afterwards, getting more numbers is a simple matter of completing an in-app purchase. Unlike some of the other options on this list, Second Phone Number lets users get new numbers from many different countries. While most seeking a second number will need an American or Canadian one, Second Phone Number is the perfect option for a situation where you often need numbers from specific countries. Every feature you'd expect is available, and these alternate numbers are available in both monthly and yearly subscription form. Sideline is one of the bigger "luxury" options on this list, as it is a service and application often used by small and big businesses anywhere. Sideline prides itself on providing users with a second number as reliable as the first, so anyone seeking a fool-proof, near-perfect second phone number should give SideLine a look. TextMeUp is another app more on the "luxury" end of the spectrum, but for some, the cost of admission may well be worth it. TextMeUp has a number of "bells and whistles" that the other apps simply don't, like video calling and group messaging. Furthermore, TextMeUp is intuitively designed, allowing users to quickly switch between their different numbers within the app. If cost isn't an issue and you want the best of the best, TextMeUp is worth a look. Phoner is perhaps more limited in its utility than the other options on this list, but in the right circumstances, its services could be more than enough. Phoner simply generates an a random number, and gives more than enough options for some. While perhaps not the sexiest option on this list, Phoner may provide the service necessary for you and your situation. There are several other websites and apps that offer a second and temporary phone number, such as Godaddy Smartline, Google Voice, Dingtone, iPlum, Line2, Textfree, Textnow, Textplus. Clearly, there's no shortage of options available to those needing a second phone number. Thankfully, these applications provide those outside the US and Canada (especially in India, Pakistan, Bangladesh) an easy way to access services requiring American or Canadian phone numbers. If you're in need, simply check one out!